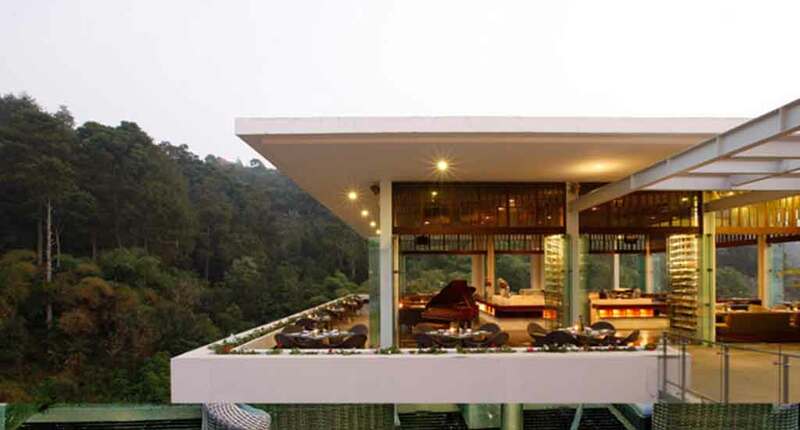 The Padma Hotel is located in Bandung district in West Java. Its attractiveness is due to the green valley that surrounds the hotel. Once you arrive here, don’t miss to explore the district. Just 24 minutes away by car, you will find the Amazing Art World, which is the biggest 3D Art Museum in the world. It’s an interactive attraction both for children and parents. Also, we recommend you to explore the 30- meters high Curug Dago Waterfall. The route to the destination is equipped with bridges, towers and signs. 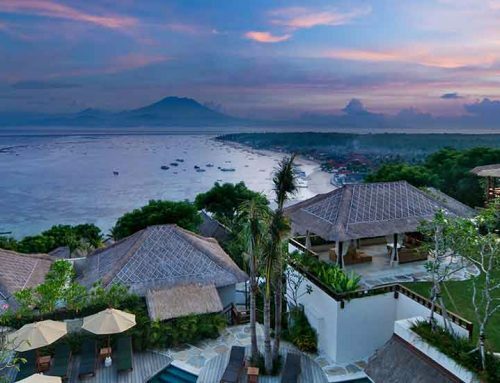 This hotel is the perfect stop on your Java Raodtrip. 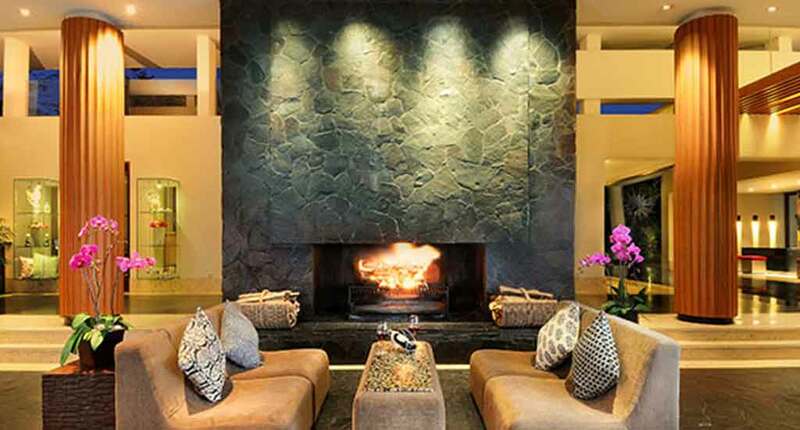 The Padma Hotel Bandung combines the comfort with a refined style. In terms of accommodation, the hotel provides six types of rooms. 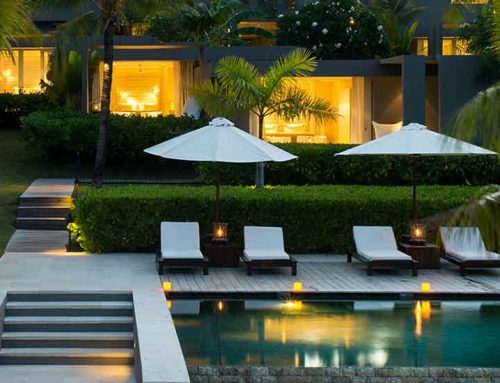 All of them offer an intimate atmosphere and an amazing view over the surroundings. 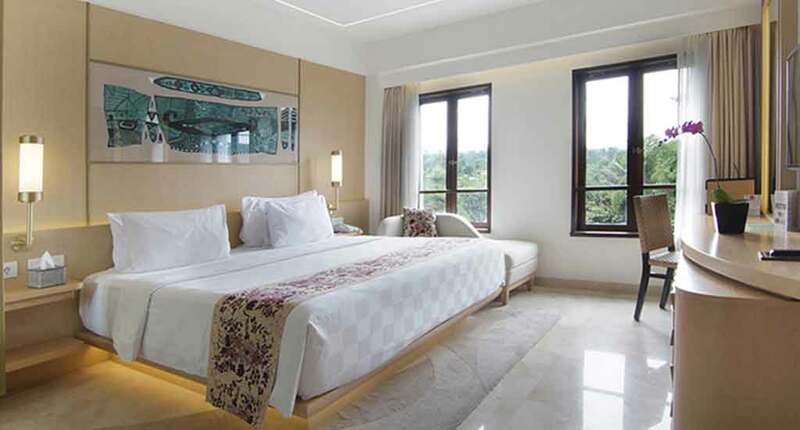 For lower floor panels, we recommend you the Deluxe Room. 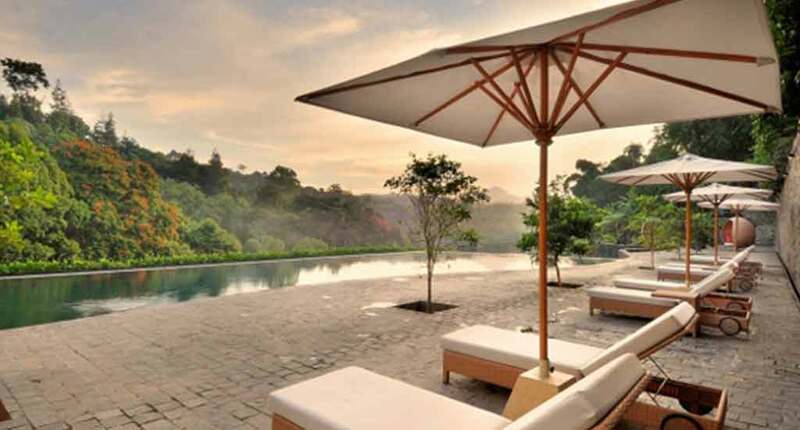 It has a view over the swimming pool and luscious green valley. In case you want the same type of room, but with a balcony, you should choose the Deluxe Balcony Room. This is located on the 2nd and 3rd floor of the hotel. For a luxurious and larger room, we recommend you the Premier Room. On the 6th and 7th floor, you will find the Hillside Studio. 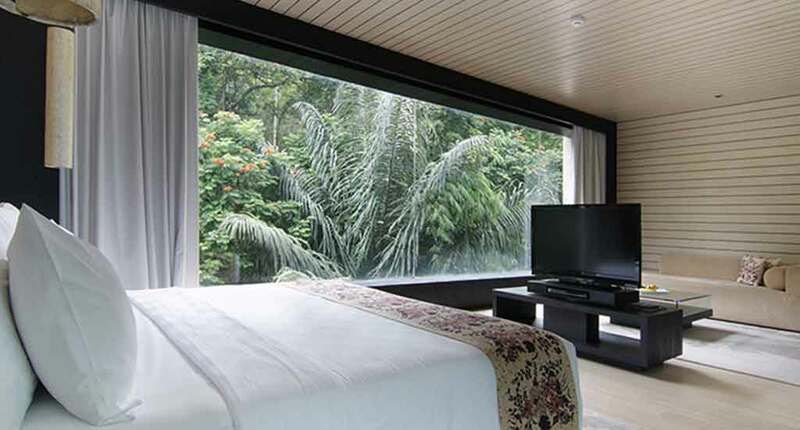 It’s a chic room that offers right in front of your bed a stunning view over the garden valley. The last two suites are perhaps one of the most exotic ones, due to the big-size windows that let you feel outside the box. In terms of alimentation, the hotel provides various options. The main restaurant offers a new concept that will enrich tourists’ experience. Being located above the green valley, it creates a fresh and romantic atmosphere. The main dishes are based on the Asiatic and European cuisine. For theme dinners, the Padma Hotel Bandung has prepared five options. You can surprise your partner with a Dinner Under the Stars. The romantic dinner will be accompanied by the wonderful view over the green valley. Another thematic dinner is the Barbeque Party, which can satisfy a group of over 30 people. Also, for groups’ meetings and parties, we recommend you Kampund Padma. 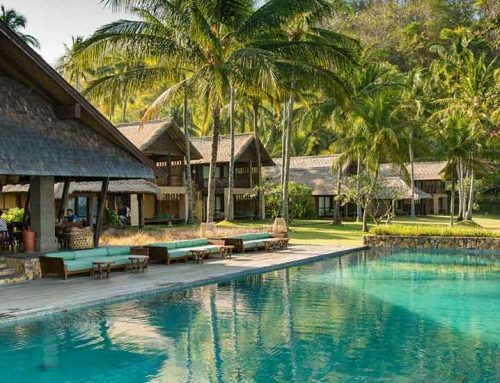 In terms of recreation, the hotel provides swimming pools, a fitness center, a yoga class, a mini soccer field and a half basketball court. 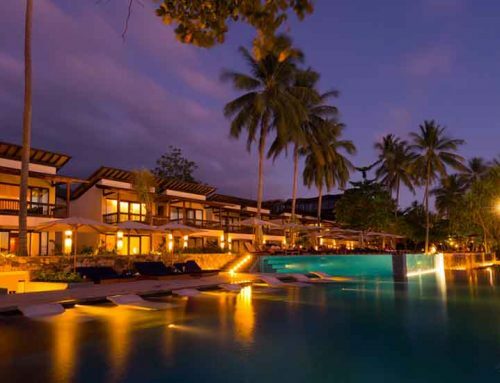 Also, the hotel organizes Flying Fox and Hi Rope Walking activities as well as Jungle Trekking. For more extra activity, don’t hesitate to ask at the reception. On Fridays, the hotel invites you at the “MEAT ME ON FRIDAY” event. Enjoy your time together with your friends, family or colleagues with the best meat selections. 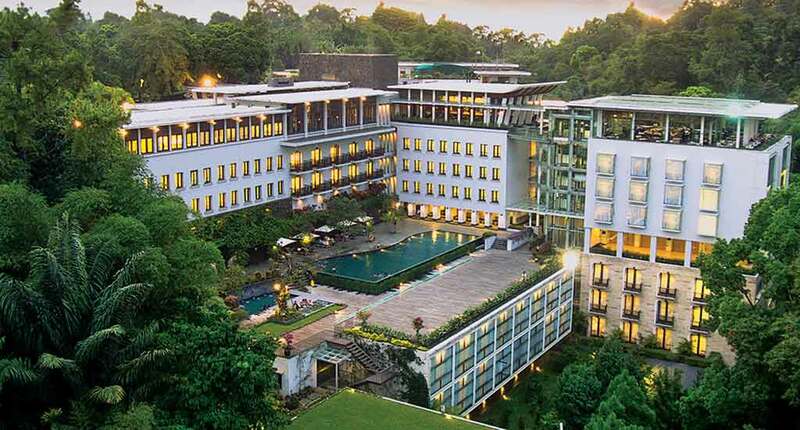 The Padma Hotel Bandung benefits from a unique location. Being in the heart of a green valley, all the rooms and suites are providing the same stunning views over the green area. Address: Jalan Ranca Bentang No. 56-58, Ciumbuleuit, Cidadap, Ciumbuleuit, Cidadap, Kota Bandung, Jawa Barat 40142, Indonesia.